AVER LEX Attorneys at law is a law firm registered in accordance with the Advocacy and Legal Practice Law of Ukraine. 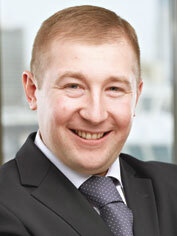 Ukrainian legislation provides attorneys at law with additional guarantees for their activity. In particular, prohibition of any intrusion and prevention of practicing law, demanding data that constitutes client-lawyer privilege, carrying out of examination, disclosure, evocation or withdrawal of the documents connected with practicing law, intrusion into the private communication of a lawyer and a client, etc. Non-disclosure of information regarding clients and their affairs, guarantee of absolute confidentiality, prompt reaction to given tasks and attaining the desirable result for the client are the main principles of the Attorneys at law. AVER LEX is a team of 20 proactive experts in the field of law, led by experienced partners with more than 10 years of practical attorney experience. Limitless energy, a friendly atmosphere, flexible way of thinking, perfectionism and harmony in actions are the keys to the team’s success. Our key practice areas are criminal law and process, litigation, taxation. A small part of the team helps to avoid the complicated process of reconciliation with clients and respond effectively to given tasks. A flexible differential approach is used when defining pricing policy, which allows all the peculiar features of a certain client to be taken into consideration. Lawyers combine professionalism and a clear view of an actual business situation. This allows us to orient ourselves promptly in a changing business environment and to find new legal solutions, and all of this results in us achieving the desirable goal for the client.